With five years of experience, Katelyn Cherala is laser-focused on interior design and meeting her clients’ needs. Known for her ability to actively listen and analyze what is said, Katelyn revels in clarifying her clients’ views with different design ideas. She often provides multiple concepts to her clients: one based on what they asked for, one that pushes the boundaries past what they envisioned, and one that is an interpretation of their request. 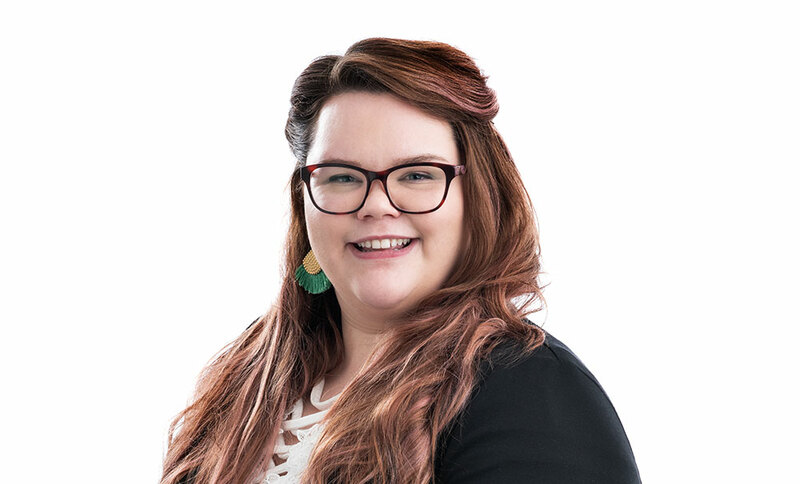 With skills ranging from InDesign, CAD, Revit, and hand drafting, Katelyn has the ability to cover any digital or hard-copy medium. She earned her Bachelor of Arts in Interior Design from BYU-Idaho in 2014. Katelyn is a true student of life and culture. Her favorite foods are Indian, and her husband taught her to make Hyderabadi Biryani, a traditional South Indian dish. When she reads a book or article or watches a movie, she enjoys researching the authors, actors, historical references, cultures, architecture, and anything else that might come up. She is currently learning the Indian languages of Hindi and Telugu.